MicroSummary: “Great by Choice” is another master-product of Jim Collins’ in-depth decade-long market researches, this time written in collaboration with another influential management analyst, Morten T. Hansen. The question this time around: why do some companies take a nosedive, while others thrive in a state of crisis and chaos? The answer: they are disciplined and prepared. Have you ever wondered how is it that while some big companies are left to scrape the bottom of the barrel after a financial crisis, others emerge practically unscathed of disasters of apocalyptic proportions? And after reading the book, we share our conclusions with you. Who Should Read “Great by Choice”? And Why? 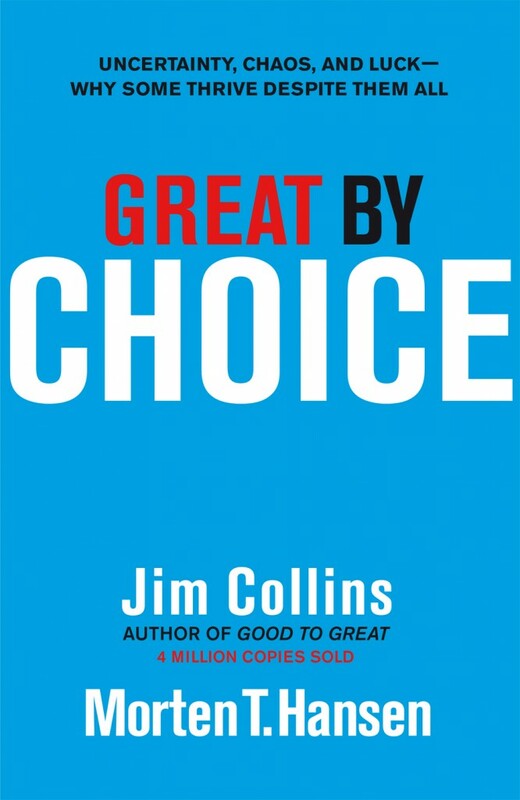 As is the case with most of Jim Collins’ books, “Great by Choice” is a recipe for long-term business success. Something chief executives, company owners, and business researchers are certainly much more interested than in the pervading get-rich-quick schemes self-help authors like to maniacally write about. In its final chapter, the book includes possibly the first in-depth quantifying analysis of the role of luck in business success. And many will find that part especially interesting. 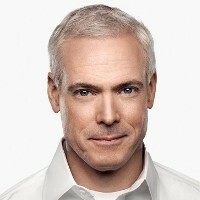 In “Good to Great” – deservedly featured in our top 15 leadership books in history list – business consultant guru Jim Collins tried to answer one of the most difficult questions in the business world. Namely, why some companies make the leap from being good to being great, while others, no matter how similar to them, fall in the pit of mediocrity. A decade later, Collins teams up with his colleague Morten T. Hansen in “Great by Choice,” to answer a new, as important, related question: why some companies thrive in chaos, while others completely lose it? And, once again, he reaches some interesting, almost counter-intuitive, conclusions, via an exemplary decade-long fieldwork. What the book ultimately boils down to? That great companies are no luckier than good companies; and, that they succeed because, even in the case of chaos and uncertainty, they go on working as if everything is as orderly as ever. In other words, antifragility is a trait you acquire through a process which combines discipline and preparedness; not something you have in your DNA from the start, or something you get by luck and sheer courage. And Hansen and Collins have just the right story to illustrate their point. In 1911, two expeditions moved on a dangerous trip to Antarctica, in an attempt to become the first people to ever reach the South Pole. One of them was led by a Norwegian, Roald Amundsen, and the other by a British Royal Navy officer, Robert Falcon Scott. Now, you would expect that the latter one was the one which historians remember, but – guess again: it was Amundsen’s expedition which won the race to immortality. You see, Roald Amundsen knew where he was going and spend as much time as he could researching Eskimo habits and trying all potential food sources. Scott wanted to reach the Pole faster, so he carried a lot less weight and used the untested-for-that-terrain motor sledges. Both would prove fatal: not one member of Scott’s team ever made it home. Well, write Collins and Hansen, the business world of today, with all its tumultuousness and unpredictability, it’s not much different than this polar race. Neither Amundsen nor Scott knew what they will face on Antarctica, but the former one did better in guessing and preparing for it. 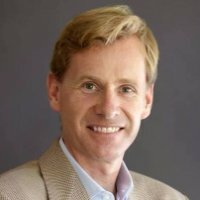 All of the “10X companies” – companies which beat their industry indexes y at least 10 times in as many years – Collins and Hansen analyzed did just that to overcome difficult situations. First of all, they were disciplined. They didn’t rush anywhere. They preferred consistency over rapid rise. By setting themselves targets and hitting them precisely year by year, they became immune to external influences. Finally, just like Amundsen, they were “productively paranoid.” The polar explorer tried dolphin’s meat so as to prepare for the worst-case scenario. The 10X companies constantly do this, so, when something bad happens, they already have a good strategy. True, if nothing of the sort ever happens, it may be money down the drain. But, then again, 10X leaders don’t think that way: they don’t strive to outdo their objectives. They are perfectly content with meeting them. Jim Collins and Morten T. Hansen base their findings on their in-depth decade-long research of companies which thrive in uncertain environments. And the conclusion? The 10xers (the companies which beat their industries tenfold) simply walk the 20-mile march. Or, in other words, they are there for the long haul. Contrary to popular belief and intuition, the 10xers are neither more innovative, nor bolder than competitive companies. But, they are way more attentive. Or, to use Collins and Hansen’s terms: they use bullets, until they are completely sure of their target. And, then, they fire the cannonballs. SMaC stands for “specific, methodological and consistent” and it’s how discipline is implemented within a company. But, it’s only one aspect of what will get you through the hard times. The other one is being productively paranoid. It means exactly what you think it means: prepare for the worst, hope for the best. As we’ve already grown accustomed with Jim Collins’ books, “Great by Choice” is the lovechild of an exhaustive, thorough business research he, Morten T. Hansen, and a team of twenty researches did over a period of nine years. That alone is a good recommendation in itself. It isn’t the only one: the findings of this research should be helpful to anyone with a dream of building a great company. And they are so original and related in such a straightforward and readable manner, that few would ever want to skip a page.